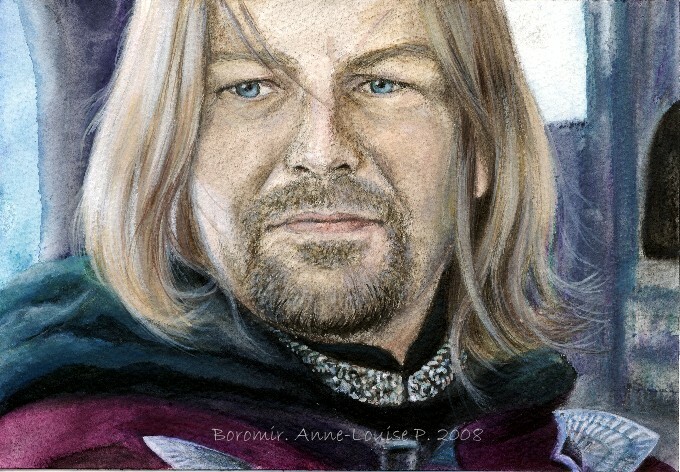 Everyone Needs a Bit of Boromir Now and Then, Part One. Boromir ponders something pretty serious. ACEO miniature art card. Graphite and watercolour pencils, acrylic paint. 2009.